I was midway from Manhattan to Brooklyn on my first clipless commute when it happened. I stopped at a red light in Chinatown, forgot I was clipped in, and before I could twist out, crashed to the ground. I landed hard on my shoulder, and had to quickly gather myself, and my belongings, before riding the rest of the way home. The soreness faded after a couple of days, but the memories never did. I haven’t forgotten to unclip since. So why did I switch? Besides the fact that I had worn out a few pairs of sneakers by commuting in New York City weather and dirt, I was also curious. Bicyclists with clipless pedals were constantly zooming by me, and I wanted to see if a change would improve my commute. I purchased the cheapest pedals and shoes I could find, and my Chinatown topple notwithstanding, had a pretty smooth transition. After about a year and a half of commuting clipless, my first pair of pedals started to give out on me. A few months later, the bottom of my left shoe ripped completely off while I was on a ride. With my old platform pedals collecting dust but still in excellent shape, I had to choose whether or not to invest in new pedals and shoes. To make the decision, I came up with some reasons to continue riding clipless on my commute, and a few in favor of going back to platforms. I’m no expert, but for other beginners considering the switch for daily commuting, here are some clipless pros and cons to consider. Power on the upstroke – One of the major benefits of clipless pedals is that they help you go faster because you not only generate power when you push down on them, but when you pull up as well. Having moved to Colorado, my commute is now 15 miles each way, so unless I want to come home to two very angry dogs, the faster I go the better. No more sliding around – When you’re clipped into your pedals, you don’t slide around on them. This is helpful in the rain, but also generally, because it means better pedal position and more efficient riding. I have a tendency to move my foot around, especially when going uphill, so clipping in makes sure I stay where I’m supposed to with the ball of my foot on the pedal. With all the proper positioning I should have calves of steel any day now. Safer than toe clips – My one and only accident in New York involved being accidentally knocked off my bike by a dancing tourist on the Brooklyn Bridge. Luckily when I landed, my shoes immediately came unclipped. This probably would not have happened if I’d been riding with toe clips, and I may have gotten more seriously injured. And don’t worry, the tourist was unharmed. 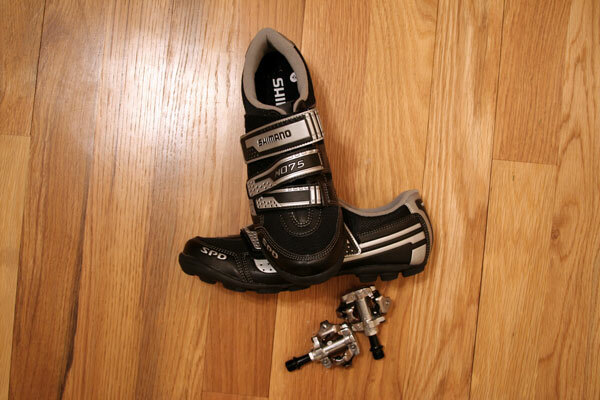 Cost – Since riding clipless requires both the pedals and the shoes, choosing this options is an investment. I need to ride year round, so I’ve also purchased shoe covers to keep my feet warm in the colder months. Add in regularly buying new cleats when the current ones wear out, and going clipless will definitely hit your wallet. And unless you want to know what it feels like to break pedals or rip shoes apart, I don’t recommend buying the cheapest ones you can find. Inconvenient for short rides – While clipless pedals can be great for longer commutes, they can be annoying if you’re also using your bike to run quick errands. Clipping in and out sometimes just feels unnecessary for really short rides. You can wear regular shoes and just balance on your clipless pedals, but that can be challenging too. Particularly if you’re wearing high heels and trying to perch yourself on minimalist pedals. 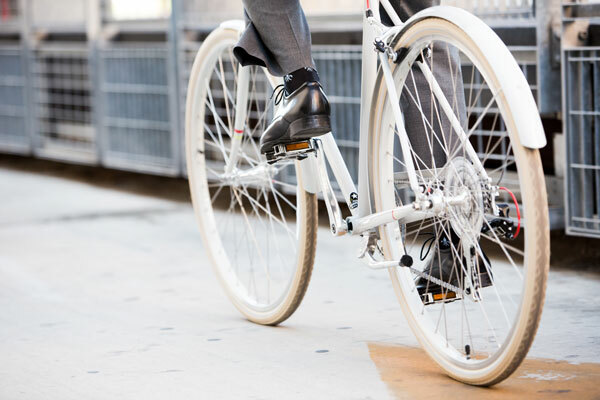 Shoe flexibility – One way to deal with the inconvenience of short rides is to wear your bike shoes no matter what. But that definitely cuts down on how awesome you can look riding your bike in all your fashionable footwear. You may want to wear sandals in the summer, boots in the winter, or a waterproof option in the rain, but having clipless pedals means you’re pretty much wed to your bike shoes, even when you’d rather not wear them. Platforms will also save you from that awkward moment where you show up to a fancy dinner only to realize you’ve forgotten your normal shoes at home. After weighing all the options myself, I decided that clipless pedals were still right for me. I will occasionally sacrifice comfort on a short ride for the added speed and stability I get on my longer commute. The important thing to remember is that you don’t have to be a bike racer to be curious about bike upgrades, and sometimes it’s worth the experiment. Even if you fall over once.